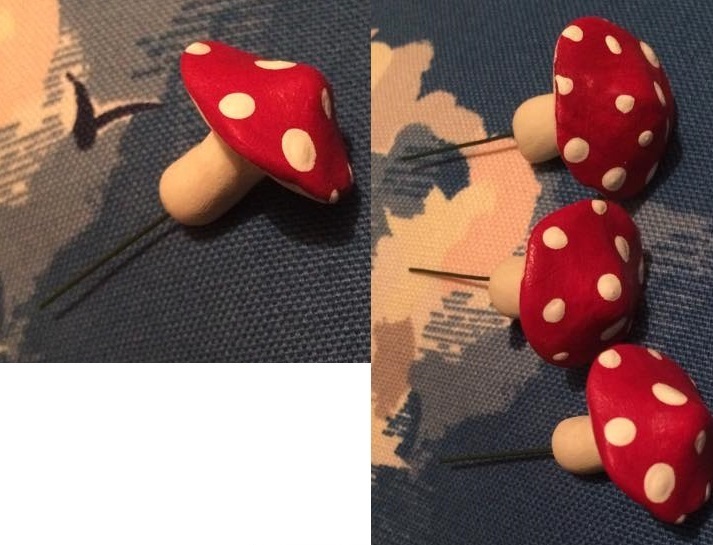 In my new house, I have a small garden and I want to make it like a little fairy garden so I wanted to get some little mushrooms with spikes on them to pop in my lawn. I came across a cute little shop called A Fairy Door on Etsy. This shop, as the name suggests, makes fairy doors and lots of little mushrooms. I chose red ones and they come in sets of 3. The little spikes are a good length and they're not too sharp. Do be careful though as poking yourself with them isn't good! These mushrooms are painted beautifully, they are so enchanting! These will look lovely in my garden and help to inject some magic into a small space. I am thoroughly pleased with my mushrooms and totally recommend A Fairy Door to anyone who is into cute whimsical decorations! You can catch these cute items on Etsy or on their standalone website here.